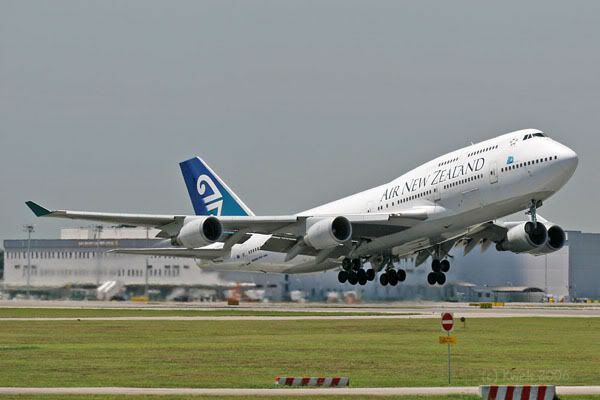 The buzz over the A380's visit has barely subsided . . . inspite of a gloomy weather forecast for the weekend, it dawned brilliantly this Saturday morning (18 November). And so early risers among aviation enthusiasts who turned up at Changi Airport were pleasantly surprised by the appearance of an airplane so red it looked like a Chinese New Year ang-pow (red packet). So here's one for Sneeze and all the other Hong Kong-based photographers!!! B-LFB suddenly appeared on the flight board and took off on its delivery flight to Hong Kong . . . in absolutely stunning light and obliged with a superb climb-out! This golden eagle is simply perfect. Have a great trip back to States, and hope to be able to meet you next time. More action shots from our outing on a sunny Saturday (18 Nov 2006) .. . The morning began with a flurry of landing actions when 02L was being inspected and cleaned. 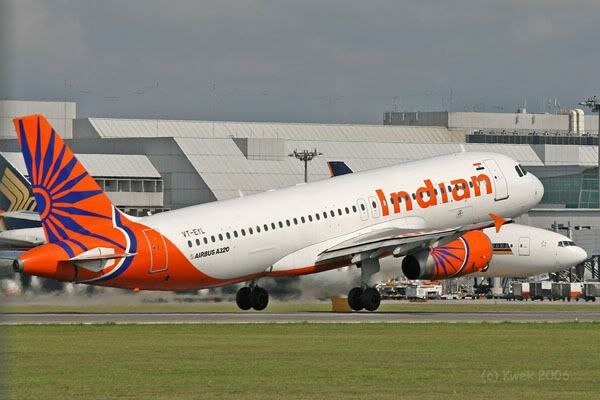 Two of India's beautiful planes landed in quick succession. Indian Airlines' A300B4 VT-EHC was operated in place of sistership VT-EHD which seems to appear almost daily. The landing was very smoothly executed and produced very little beyond this initial plume of smoke. Jet Airways arrived soon after with B737-800 VT-JGF touching down right in front of me. PMT Air of Cambodia seems to be regularly operating its AN-12F XU-U4C out of Singapore Changi Airport and undertakes flights to Labuan and Johor Bahru. 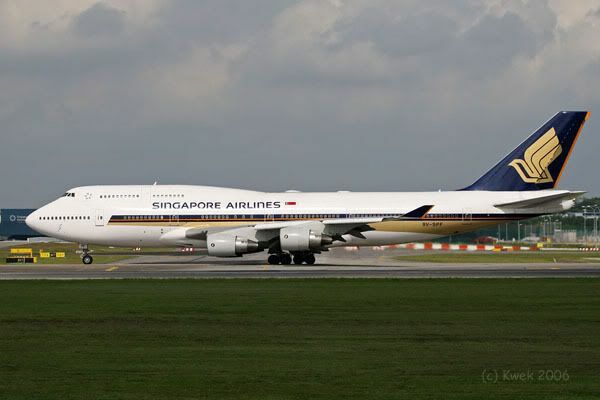 It is seen here rotating early for its flight to Labuan. Later in the morning, we went much further down runway 02C to catch some late rotation . . . and were quickly and handsomely rewarded with . 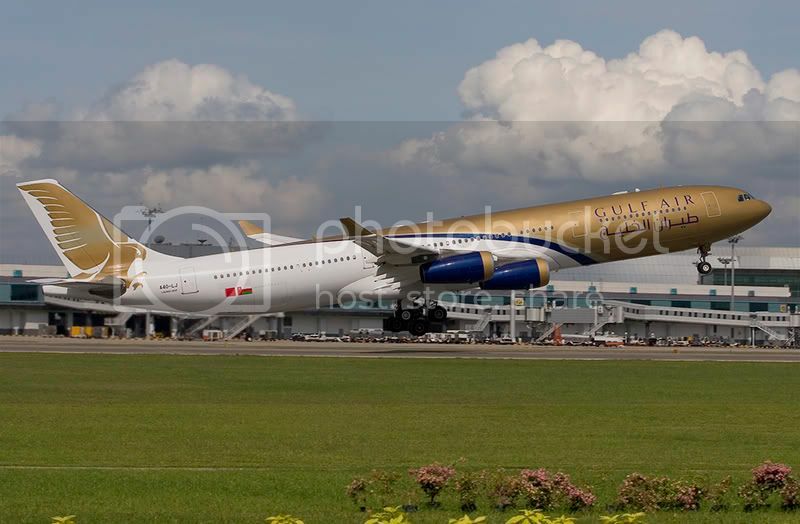 . .
Gulfair's A340-300 A4O-LJ bound for Sydney . 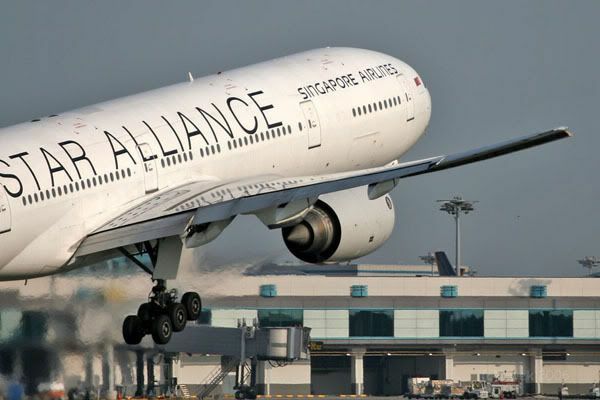 . .
and Singapore Airlines' B747-412 in Star Alliance livery. Great images from Singapore! Nice weather you guys have there! 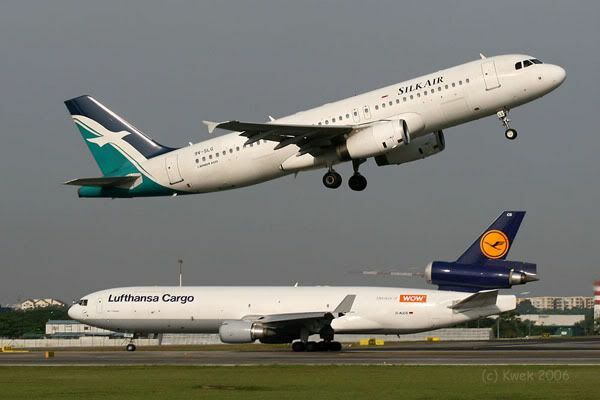 Silkair hops over Lufthansa spotting a fishing rod! Nice Indian ladies, Kwek, guess there are more ladies visiting SIN-city than KUL-city ? Can you name them for me, please ? Great pictures KC ; Nice to see the old A300 again , too bad Airbus is ending A300 production in 2007 . A couple of specials caught a couple of days back. Lucky to get this one. 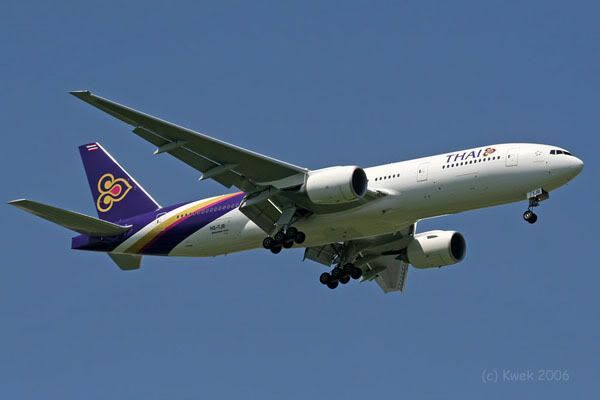 Don't know when she will ever be back on the BKK/SIN/BKK route again. Note the blue engine cones - very new bird. 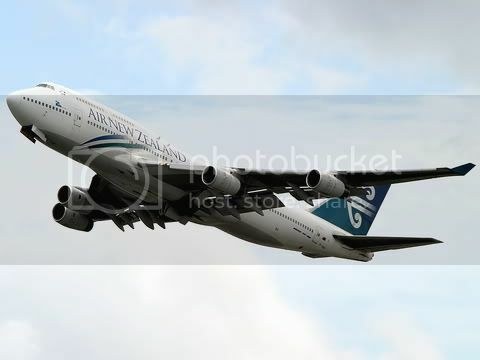 Air NewZealand B744 ZK-SUH on a military charter to Rockhampton. 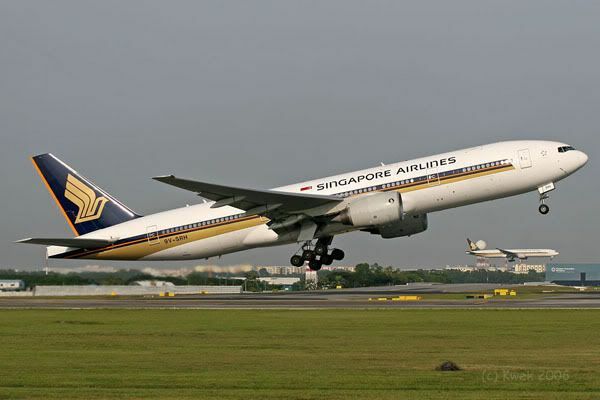 When ANZ was operating in Singapore we only saw the B767 and then the new B777s for a short while. Now we get this jumbo. Can anyone tell what is missing from the markings? "Waves" at the front fuselage ? Look at the reflection on the wing's surface of current workhorse wearing SA livery..Cool! Incomplete logo on the rudder & fin. Wow Kwek, ANZ shot is really AWESOME!!!! Sneeze Ur shot also not bad !!! Very nice!!! Finish exam already?Good luck!! 18 November 2006 proved to be an ordinary day at Changi blessed with extraordinary light . . . interestingly, there has been quite a few days which began in such great light. This seems to mitigate the lull that was enforced on photographers during the recent haze. The sun peeped through real early and planes that moved around 0700hrs were generously marinated in gold . 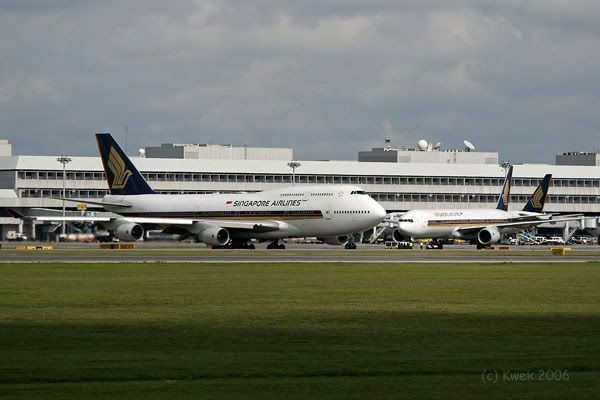 . .
A pair of Singapore Airlines B777-212s landed on runway 20C . . . 9V-SQK touching down firmly . . .
and 9V-SQC posing with the distinctive Changi Airport tower. Not to be outdone, resident LCC Tiger Airways' A320 9V-TAD too sought attention as it departed. At 0720hrs, runway 20C/02C was closed for inspection . . . this lasted a whole 40 minutes, the second time in this week that such a lengthy inspection was undertaken. After it was all over, the wind picked up and 02C was used. The golden light at 7am has now turned into a beautiful pure light with lots of action. A pair of airliners from Japan (or as TK would call it - Japang) were a joy to photograph. ANA's newly-launched morning flight almost always uses 02C/20C and always rotates at this spot . . .
but JAL's B777-246s are more elusive. This morning, it too joined the rest in making a trot to 02C and rotated beautifully. Malaysia Airlines' A330-300 shows off her Visit Malaysia Year 2007 sticker as she climbs out . . .
. . . while Cathay Pacific's A330-300 tried similarly to promote Hong Kong's tourism delights with a miniscule "Asia's World City" sticker. 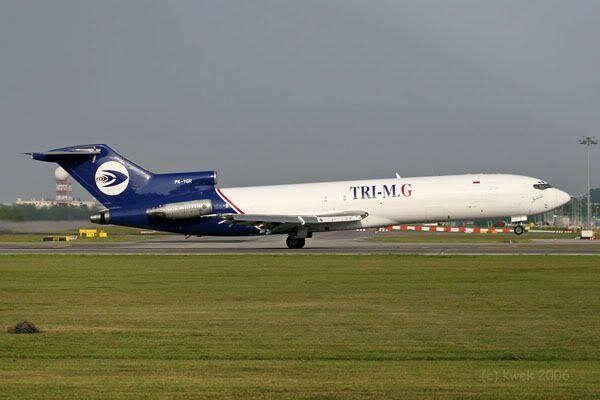 Indonesia's TriMG is the only regular B727 operator into Changi Airport . . . Long Live TriJet!!! UPS's B757 takes off and climb like a rocket and where other aircraft are rotating in front of me, N461UP is comfortably rocketing towards cruise altitude. Local resident 9V-SPA surprised me with a very early rotation . . . but nobody's complaining. 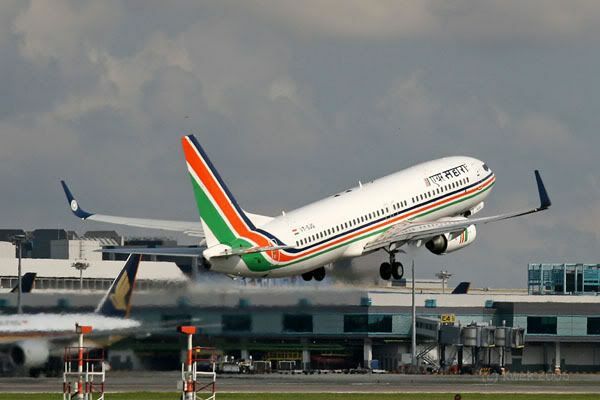 Each morning, Indian Airlines graces Changi Airport with about five flights - one A300 and the rest with A320s. And on most mornings, three A320s in new colours (VT-ESL, VT-EYL and lately VT-ESD) join in the parade. In the words of a MWinger, CILAKA.